Enjoy Twisted Oak Tasting Room INSIDE for a cozy, delightful evening. Ras Beeken Dan will share his many musical talents. 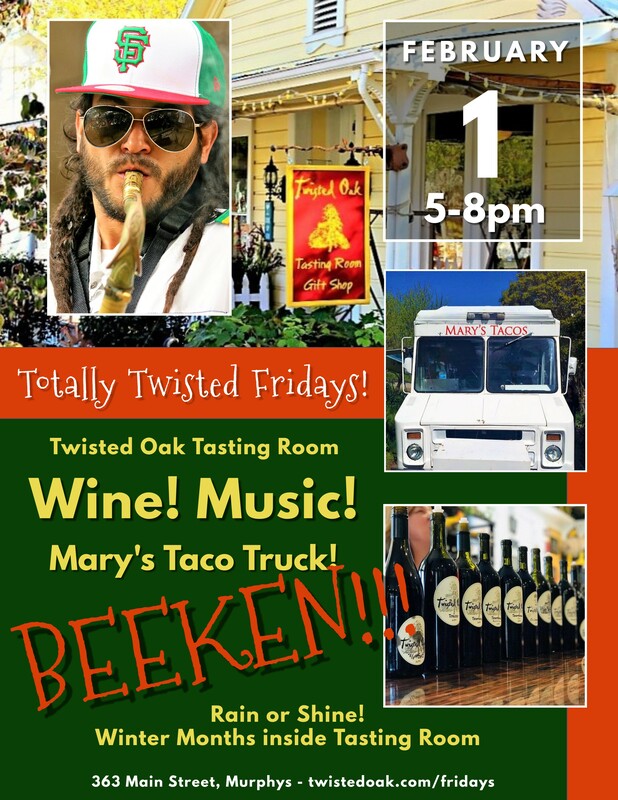 A guaranteed good time with Mary’s Taco Truck & yummy Twisted Oak Wine.